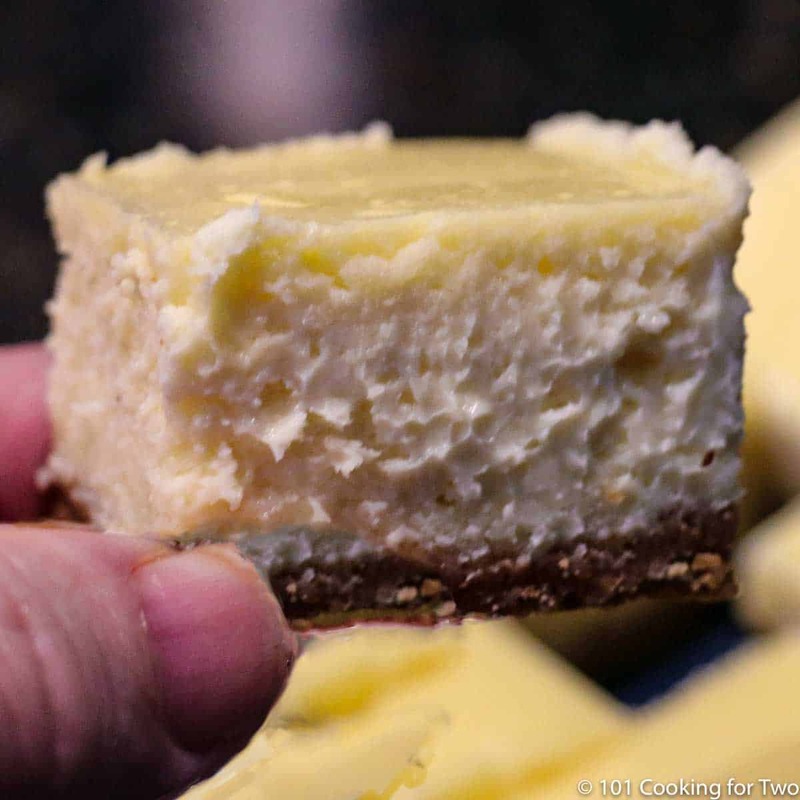 New York cheesecake bars will impress your friends and family. 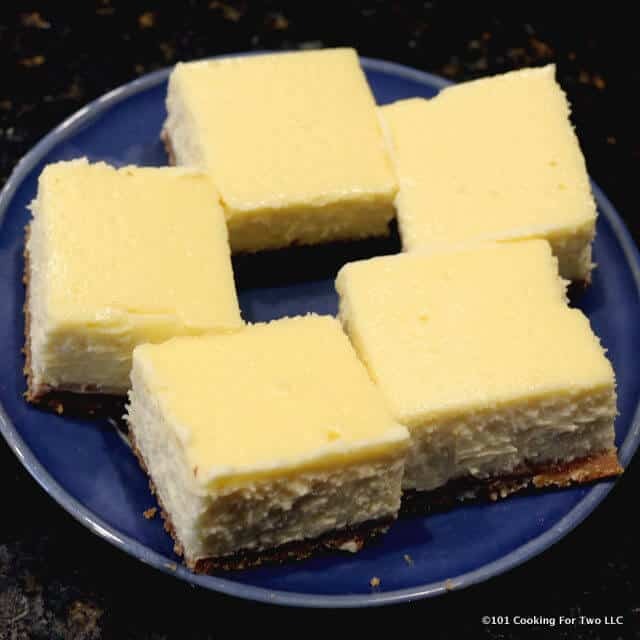 Creamy delectable cheesecake, great for that special brunch with friends or family gatherings. We needed another treat for a gathering of friends and I wanted something different. A nice cheesecake bar sounded just right. 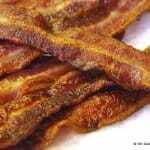 I did my usual research and found lots of similar recipes. This is good since that means it’s solid. I chose the King Author version to adapt. I needed a double batch. Plus a little change here and there. More cinnamon, less vanilla and no lemon and I had exactly what I wanted. Evil good. An excellent bar. Great for a gathering or the family. 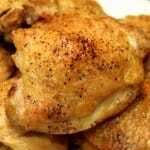 The pictures are all from a double batch, the ingredient list and instructions are also. If doing a single batch, just half all ingredients, use an 8X8 baking dish and cook 30-40 minutes instead of 40-50 minutes. The model recipe had lemon. I like my cheesecake plain. Please use the parchment paper or you will probably destroy the bars removing them from the pan. Allow the cream cheese to rest to room temperature for several hours before starting. Preheat oven to 375. Note: instructions and pictures are a double batch. See recipe notes for a single batch. 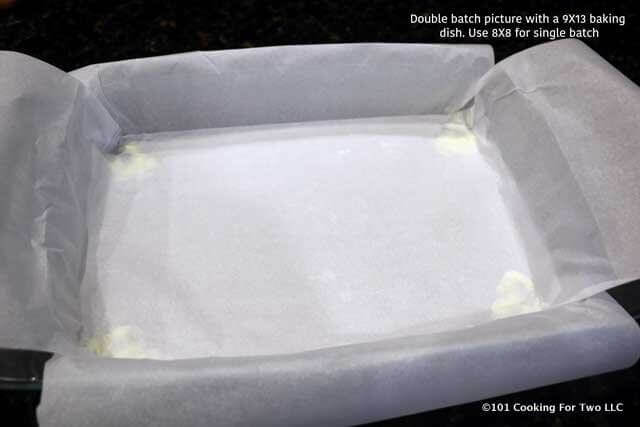 Prepare 9 by 13 baking dish by lining with parchment paper. Use two sheets and cut to fit in a crossing pattern. Use dots of butter in the corners of the dish to help them stay down. They need to hang over a little since you need them to remove the bars from the pan. Crush 16 sheets of Graham crackers. Add 1/4 cup powdered sugar, 1/2 teaspoon cinnamon, and 1/4 teaspoon salt if using unsalted better. Mix to combine. 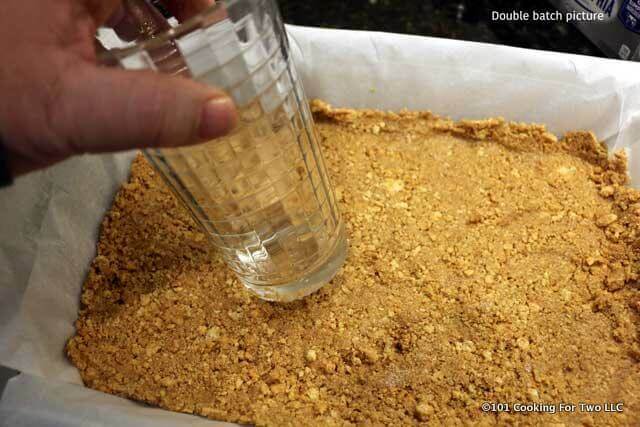 Melt 10 tablespoons butter and add. Mix well and press into bottom of the prepared dish and allow to run up the side about 1/4 inch. Bake for 8-10 minutes to firm up. 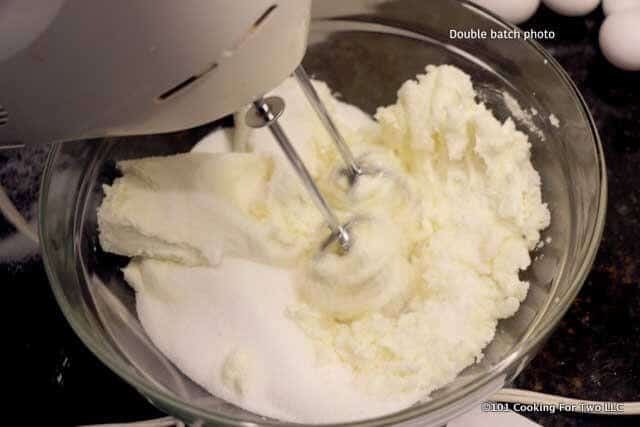 With a hand mixer or stand mixer, combine 2 pounds of cream cheese and 2 cups of sugar until smooth. 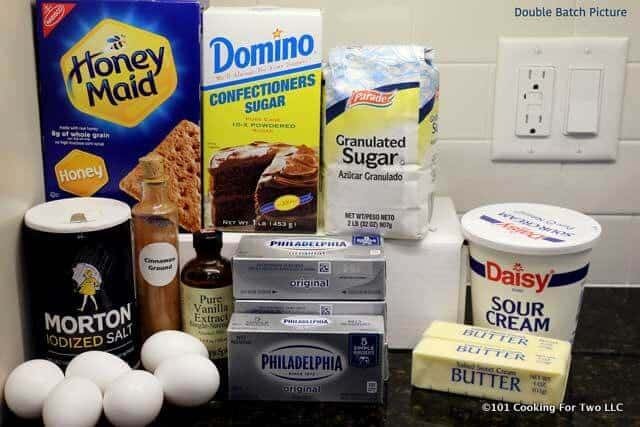 Add in 6 eggs, 1/2 cup sour cream, and 2 teaspoons vanilla. Mix well. Bake for 40 to 50 minutes until edge is set but the center will still appear soft. You can check the temperature, it should be 180 about one inch from the edge. Cool at room temperature for 30 minutes then refrigerate until cold before cutting. 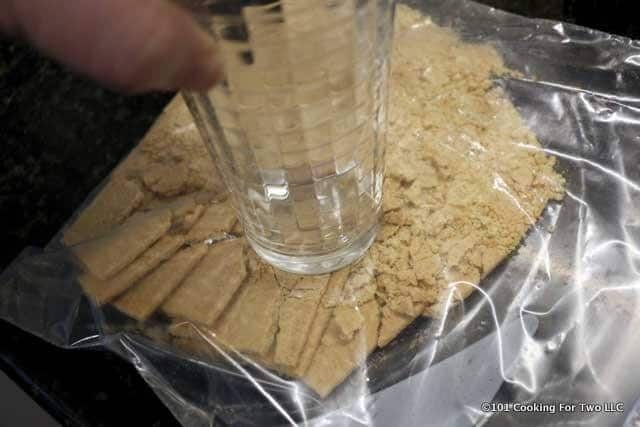 Crush 16 sheets of Graham crackers. Add 1/4 cup powdered sugar, 1/2 teaspoon cinnamon, and 1/4 teaspoon salt if using unsalted better. Mix to combine. 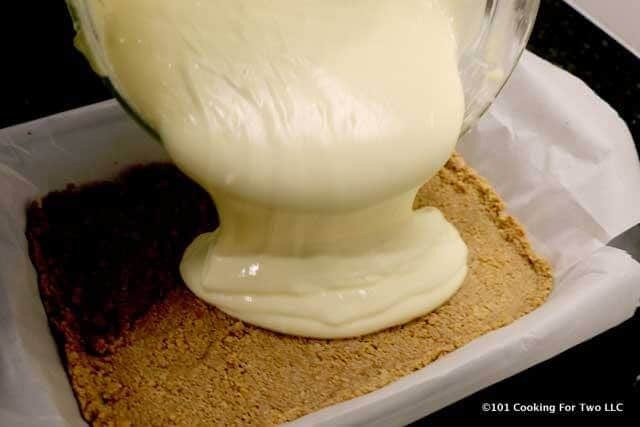 Melt 10 tablespoons butter and add. Mix well and press into bottom of the prepared dish and allow to run up the side about 1/4 inch. Bake for 8-10 minutes to firm up. 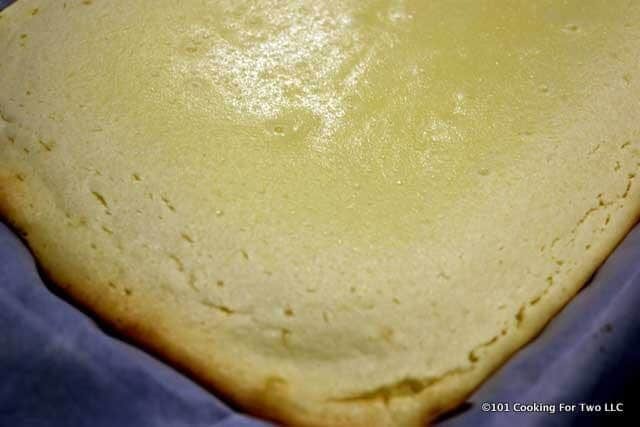 Pour into baking dish and bake for 40 to 50 minutes until edge is set but the center will still appear soft. You can check the temperature, it should be 180 about one inch from the edge. 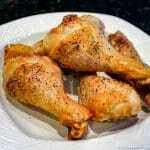 The pictures are all from a double batch, the ingredient list and instructions are also for a double batch. If doing a single batch, just half all ingredients, use an 8X8 baking dish and cook 30-40 minutes instead of 40-50 minutes. 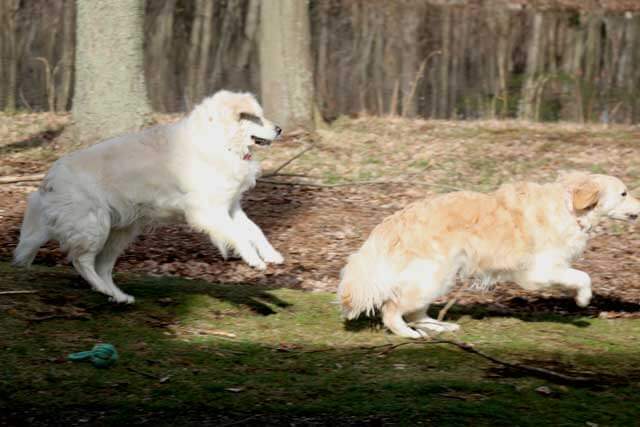 An ABSOLUTE success, Doc! BINGO, spot on and wonderful. My husband LOVES cheesecake and couldn’t wait to try this. I made it last night so it had to be in the fridge overnight. When I got up this morning he’d already been at it. 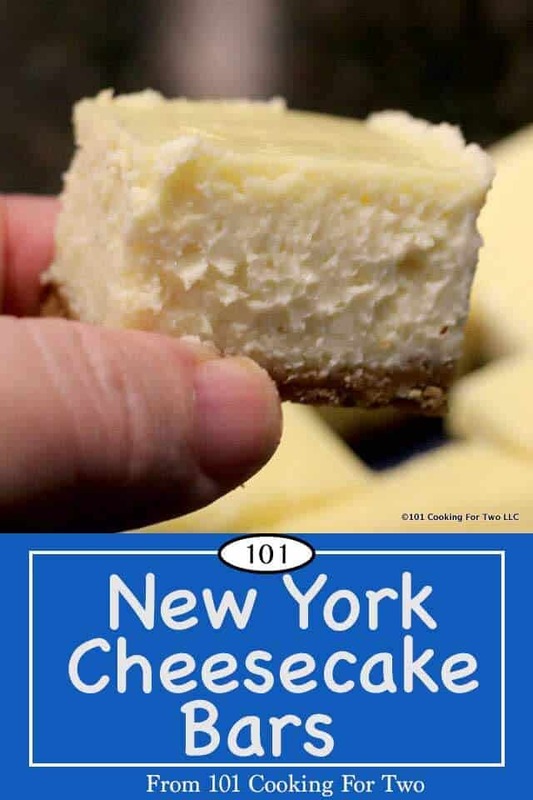 He said it’s the best cheesecake he’s ever had, and he’s from NY. You’ve given us another WINNER! Your instructions say sour cheese but I’m assuming you meant sour cream instead. Yep, fixed and thanks for the proof read. Dr Dan, These look great I cannot wait to make them!